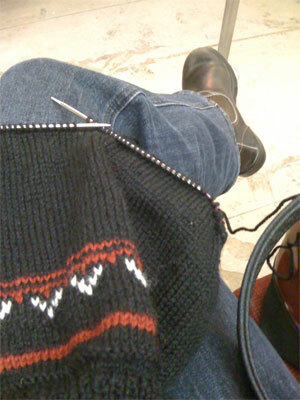 Premise: Knitting a fancy-pants sweater in 17 days is only possible if I observe certain rules of knitting. Rule 1: Be smart. This is no time for mistakes, especially preventable errors that can be entirely fended off if I use simple strategies that I should know really well. How’s that going? Well. Considering that the first thing I did with this sweater was perform, to absolute perfection, the "Not-Long-Enough-Tail Cast On" I don’t think I can lay claim to having worked that out very well. Rule 2: Pay attention. 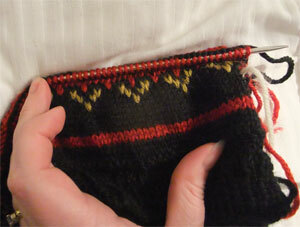 There is no time for mistakes here, and a knitter hoping to do something that can barely be done in 17 days really can’t have to do things over and hope to take gold. Check, check and triple check. How’s that going? Well. See for yourself. Turns out that after I’d had recovered from the minor blow of casting on wrong, I devastated myself by doing the following. That there would be a picture I took of my proudly completed first chart of the sweater, which would all be ducky if I hadn’t knit it with bronze instead of white. Realizing that (after I took the picture) actually made me do a dance of rage in my hotel room- since my fury was so complete that it needed physical release, not just the standard verbal obscenities thrown at yarn. Solution: Oh, I don’t %^&*%$#ing know. Probably the same as "get smarter" and just as bloody likely. 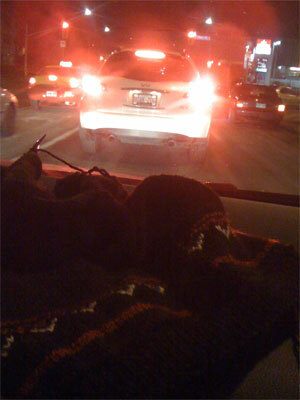 Rule 3: Knit everywhere. There’s almost no chance this is possible without taking advantage of every minute free to me. 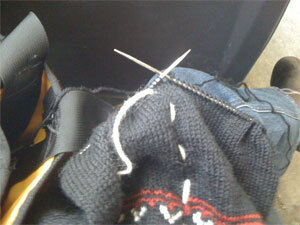 This is a secret of productive knitters- even snatched minutes here and there add up. How’s that going? Well. It was going pretty well. 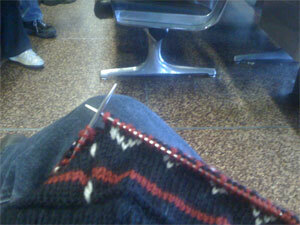 I was knitting in the Seattle airport, chugging along, having put enough yarn for the trip home into my carry on. 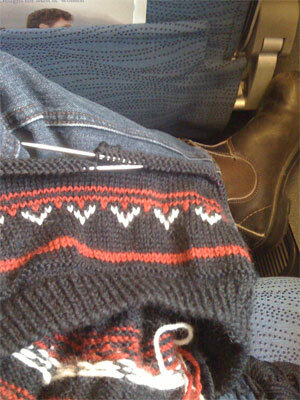 I knit on the short flight from Seattle to Vancouver, coming to the end of my ball of black yarn while I was there. I went into my bag for another one, and immediately discovered (although I rifled the bag for a long time before I could believe it was true, my heart pounding the whole time) that I had only packed the secondary colours. Extra white, red and bronze – no black. 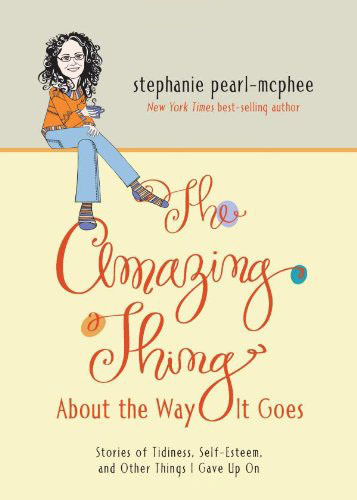 I was absolutely dizzy until I remembered that I’d have a chance to redeem myself. When you pass from the US to Canada at Vancouver, you have to collect your bags after Canada customs, and recheck them to carry on. This gave me an awesome (if misunderstood) opportunity to open my luggage in the baggage area, snag some black yarn (all of it, since I was risking nothing) and repack my bags. As I said, if the stares of onlookers were any indication, this was misunderstood as a luggage activity, but what the hell. It’s the Olympics. Things have to be done. Solution: Er, see rule 1 again. Since then, I’ve had no further setbacks. 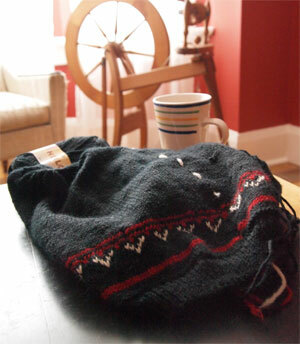 (I know that you don’t expect many setbacks when all you have to do is knit 30cm of black stockinette in the round, but I’m still pleased. 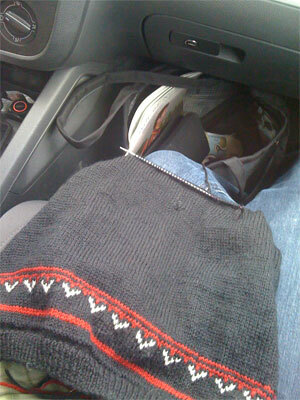 I knit on the plane on the way home. Gonna keep working on that Rule #1.